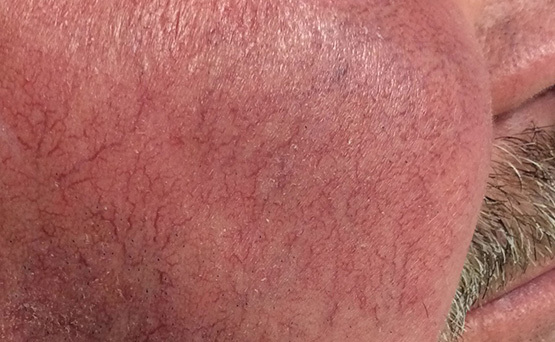 There is a safe and effective treatment for telangiectasias (small facial veins) and other benign pigmented lesions (brown spots) on the skin. Excel V Laser provides the most advanced technology to lighten, even erase these spots. 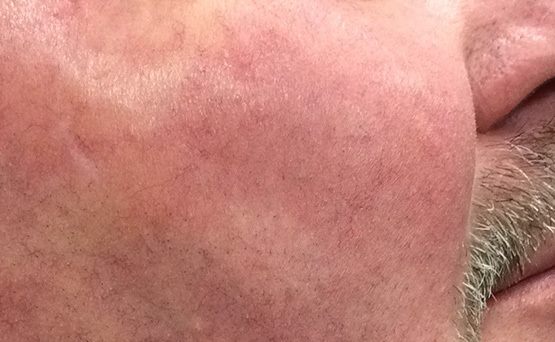 This laser can also lighten, diffuse redness to the face and neck, as well as red surgical scars. This laser system treats tissue by gently sealing vessels with the administration of a unique green laser that heats the abnormal vessels, causing the vein walls to collapse. This is done with the patient only feeling a warm sting for a fraction of a second. It is so gentle that local anesthesia is unnecessary. 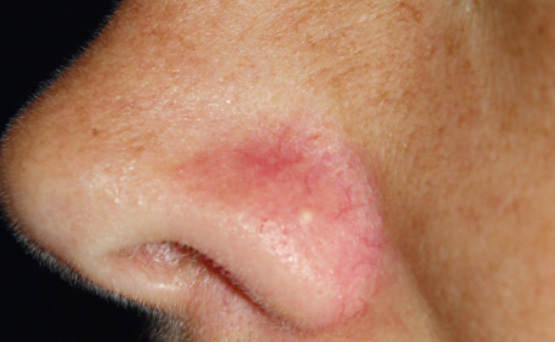 Brown spots are treated by heating the surface of the lesion and causing a slight crusting that will peel the abnormal discoloration from the skin. Treatment with the laser varies from patient to patient depending on the type of lesion, size of the affected area, the color of the skin around the lesion and the depth to which the lesion extends beneath the skin’s surface. These various parameters affect the number of treatments required and can be determined based on the patient’s specific condition. Avoid treatments such as waxing, depilatories, facials or peels 1-2 weeks prior to treatment. History of herpes or cold sores may require an anti-viral prescription prior to treatment. Inform the office. 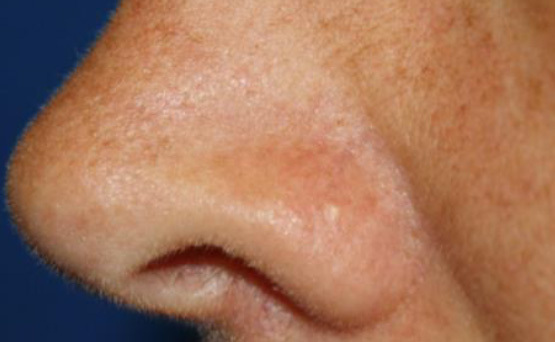 Men need to shave the day of treatment to avoid any stubble to areas of treatment. Expect redness in the treatment sites for 24 hours and swelling may occur for 1-2 days. Use ice packs as needed to the treatment sites until this clears. If blistering or prolonged swelling occurs, please phone the office at 261-2255. A “bug bite”, welt or hive-like appearance may occur and will resolve within 1-2 days. Bruising may occur but will resolve with time. The treated pigment will turn darker (brown to black) within 24-48 hours. -Do not pick at treated areas and those on the face will exfoliate off in approximately 1 week and off the body in approximately 2-3 weeks. Avoid heat including exercise, hot tubs/saunas and direct sun exposure for 48 hours. Avoid skin irritants such as skin care products with vitamin C, tretinoin, retinol, glycolic/salicylic acids, benzoyl peroxide, astringents etc. until redness/swelling clears. Wash treatment sites with a gentle cleanser and use a gentle moisturizer until redness/swelling clears. Continue to apply a broad-spectrum SPF #30 sunscreen daily and avoid excessive sun exposure to prevent further sun damage. Makeup may be worn unless crusting develops. After the first treatment, expect the need for a second treatment in one month. Some treatment areas such as the neck and chest may require additional treatments (3-5). There is a charge for additional treatments.